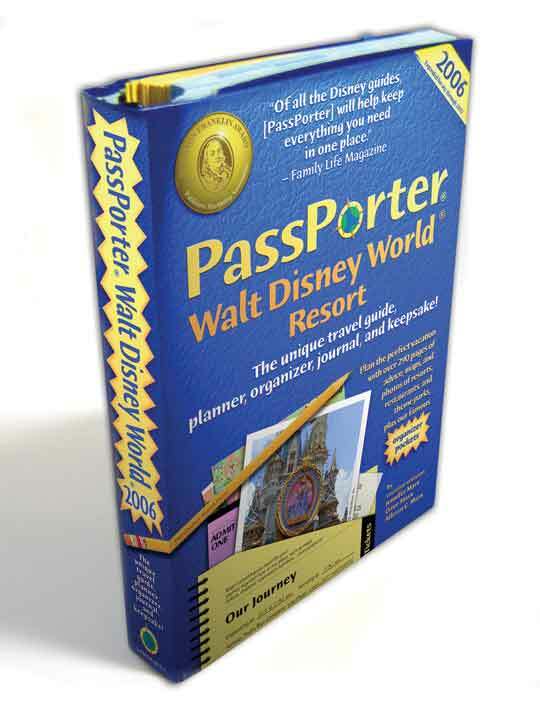 Sure, you can browse PassPorter Walt Disney World 2007 in a bookstore, but that's not always convenient. So we've created a virtual sneak peek for you here! We've put our front and back covers online for you, as well as at least one page from each chapter of the book. Click any of the thumbnail images to zoom in on the page (be patient as these are large images). If you have any questions at all about PassPorter Walt Disney World 2007, please feel free to e-mail us at feedback@passporter.com. We'd love to hear from you! Order Your 2007 Edition Today! Note: If you have the compressed graphics feature in your browser enabled, you may not be able to see the page graphics clearly. We recommend you turn off compressed graphics for the duration of your book browsing. Click the thumbnails below to view the covers and pages at a larger size.